Happy New Year Detroit 2019! Well, even if I'm not updating this blog as frequently as before, one thing stayed consistent and that's the annual Detroit River video on New Year's day. Here are some photos and the video. Enjoy! River video! This year the video was shot using an iPhone app called Clips. The Clips app allows you to add photos to the video clip, so you will see some still photos mixed in. It's a useful app for creating quick videos from your iPhone. And with the cold weather in Detroit it worked out quite well! Yes, stop whatever you're doing, and head over to Fresh101 in Midtown for an organic cold pressed juice! 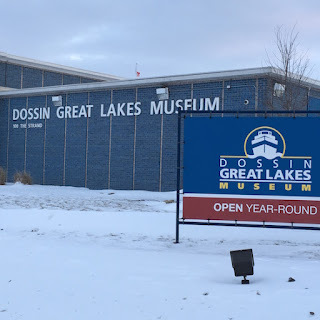 I just returned from visiting their new location at 4240 Cass Ave. (Note that the entrance is on the W. Canfield side of the building.) You will not be disappointed. The juice here is the real deal, fresh and flavorful. You'll also be happy to know that it's organic and super healthy. Mrs. DVD and I, stopped in for a visit, and we were greeted warmly by the owners Denise and Monique. Monique explained their menu of different blended juices and smoothie bowls, while Denise shared info about some of the cool art work on the walls. 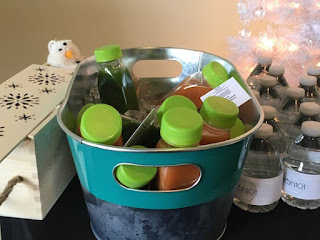 All of the juices sounded great, but I decided on the K.I.S.S juice (carrot, apple and ginger), and Mrs. DVD went with the Bella juice (orange, pineapple, grapefruit, turmeric and ginger.) Both drinks were simply delicious! 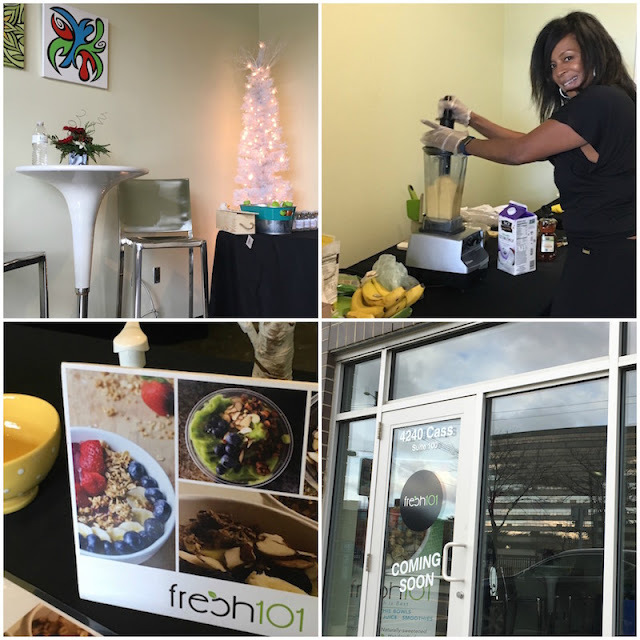 There's a lot of great small businesses in Midtown, and Fresh101 is a fantastic place for you to stop and recharge as you are out shopping this holiday season. Even if your not much of a shopper, go and check out Fresh101. You'll definitely enjoy the healthy options they have!